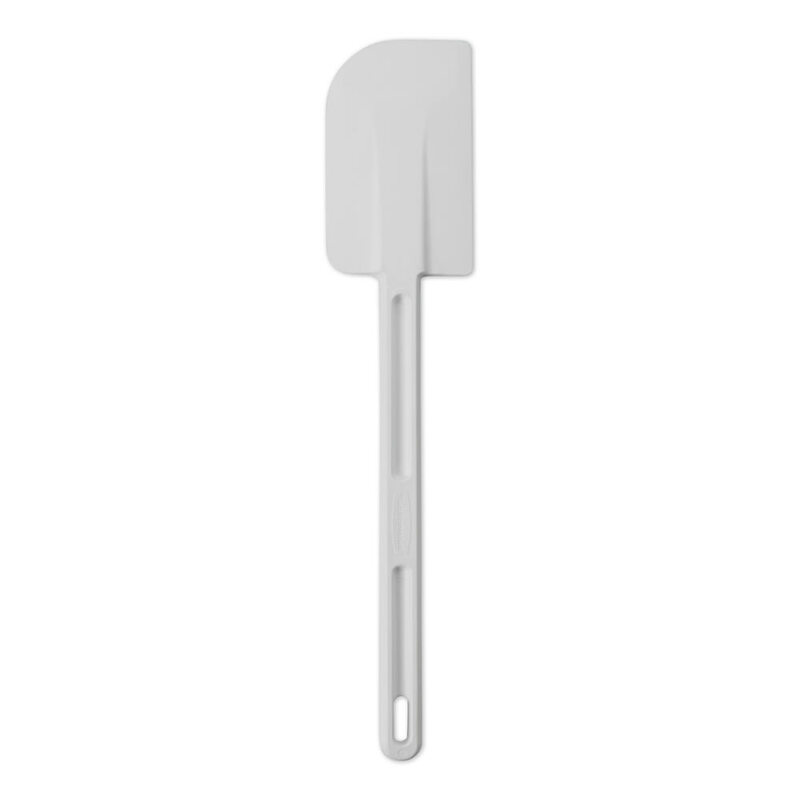 The Rubbermaid FG1905000000 scraper is designed for spooning, scraping, and spreading low-temperature products like cake batter. The white handle is permanently molded onto the blade, which creates seamless construction that is more sanitary and durable. To help prevent cross contamination, the Clean-Rest feature on the back of the blade keeps it from making contact with surfaces when it is set down. It can also be cleaned in a commercial dishwasher. 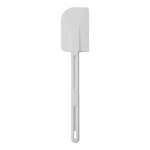 "Great for scraping cookie dough and cake batter. Also for cleaning off plates before washing."